Dry roast all ingredients listed in masala section above (coconut, dry coriander seeds, dry kashmiri red chilli, poppy seeds, sesame seeds, cinnamon, cloves, black peppercorns and black cardamom seeds) in a pan until masala releases nice aroma; it will take around 1-2 minutes. Transfer them to a plate and let them cool at room temperature. 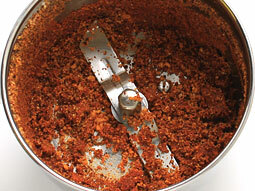 Add roasted spices in a small jar of a mixer grinder and grind until smooth powder. Cut all the vegetables lengthwise. 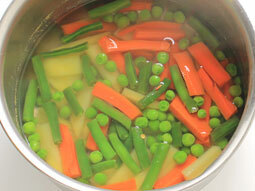 Boil potato, french beans, carrot and green peas in salted water until 90% cooked. They should be crunchy and not mushy after cooking. It will take around 7-8 minutes. (You can also steam cook them instead of boiling them in water). Heat 2 tablespoons oil in a pan over medium flame. Add fennel seeds and sauté for 15 seconds. Add sliced onion and sauté until it turns translucent. Add ginger-garlic paste. Sauté for a minute. 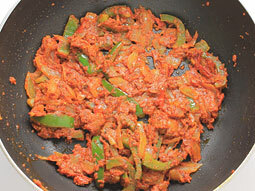 Add sliced capsicum, chopped tomato and salt. Sauté until tomatoes turn soft. It will take around 3-4 minutes. 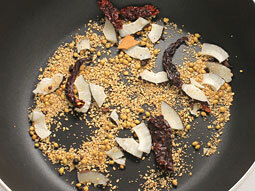 Add masala powder (prepared in step-3) and turmeric powder. Mix well and cook for a minute. 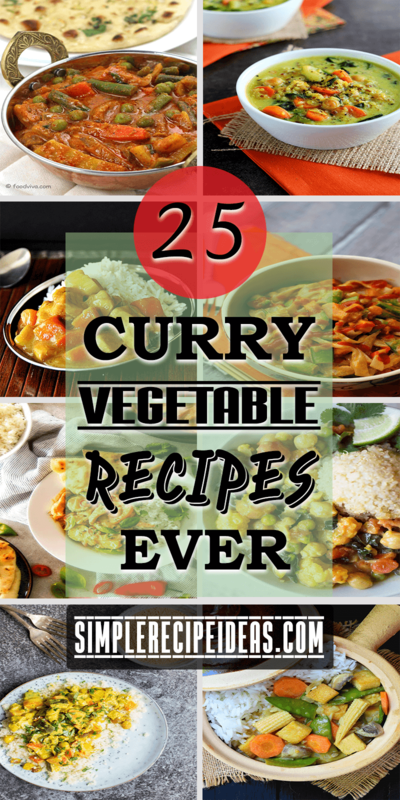 Add steamed/boiled vegetables (don’t add water). 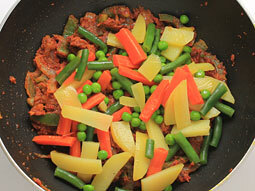 If you have not added salt while steaming/boiling veggies, add salt to taste. We have already added salt once in step-5, so add salt according to it. Stir and cook for 2-minutes. 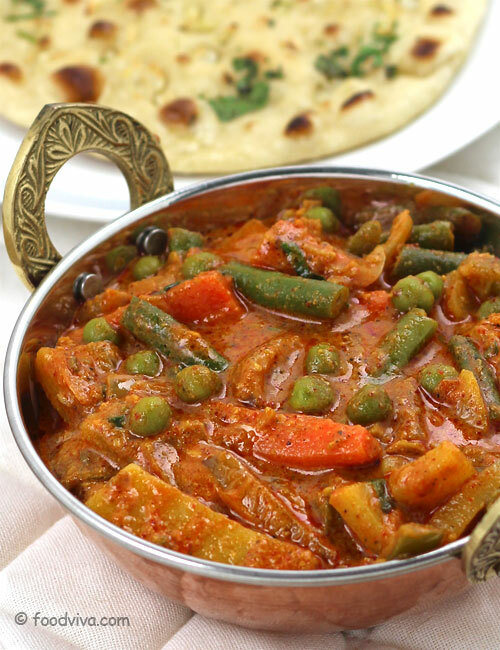 Add 1/3 cup milk and 1/3 cup water (or use the water drained from boiled vegetables). Mix well. Cook until you get the desired consistency of gravy or for around 4-5 minutes. 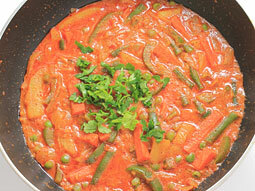 Turn off the flame and garnish Veg Kolhapuri Sabzi with fresh coriander leaves.